I would like to talk about property taxes. First, let’s agree that no one wants to pay more taxes, but taxes should be fairly distributed. Next, we believe cities, counties and states should offer certain services including fire, police and education in order to remain healthy and vibrant communities. Property taxes in Nevada are determined by a complicated formula. The property tax valuation for the land is fair market value. The improvement (house) tax valuation is determined by replacement cost less depreciation at 1.5 percent per year for up to 50 years. The assessment rate is 35 percent of taxable value. 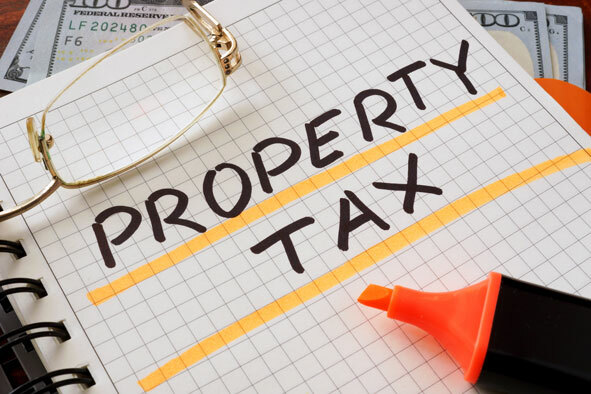 The State of Nevada Constitution, Article 10 section 2, limits the property tax rate to $5 per $100 of assessed value, which was limited by the Nevada Legislature in 1979 to $3.64 per $100 of assessed value plus $.02 added to the state debt component for capital projects for a total of $3.66, where it remains to the present. To understand the present, let’s look at what occurred in the past. Eugenia Larmore of EKAY Economic Consultants provided a report for this article that details the changes made from 1981 to 2005. She reports that in 1981, there was a change in the appraisal method from the market approach to a more conservative replacement cost approach. EKAY’s report details the changes made in 1983 when an annual depreciation of 1.5 percent of the improvements/buildings replacement cost for up to 50 years was added. She describes Assembly Bill 489, passed in 2005, introduced a partial abatement of ad valorem taxes imposed on property. It created a cap applied to the tax bill allowing the tax bill for an owner-occupied single-family residence to increase by no more than 3 percent annually, regardless of changes to assessed valuation, unless the change is due to improvements. Finally, for all other property, the annual cap is equal to the greater of: (1) the average percentage change in the assessed value of a county over the current year plus the previous nine years, or (2) twice the increase in the CPI for the previous calendar year. If the greater of the two is higher than 8 percent, the cap is set at 8 percent. As noted by EKAY, these reforms created a property system that is one of the most conservative in the nation. In addition, there are legislatively approved overrides as well as voter approved overrides which have enacted additional property taxes to fund a number of particular programs on a statewide or local basis. For a list of Voter Approved Overrides for the fiscal year 2016-2017 in Washoe County, visit Nevada Property Taxes 2017: Elements and Application. Why should we rethink property taxes? First, it should not be so complicated. Try and explain to anyone moving from California and attempting to purchase a home how their property taxes are figured. By having such a complicated tax system that few taxpayers understand, it creates distrust in the system. SJR-14, as proposed by Julia Ratti, is a worthwhile effort to amend Nevada’s convoluted property tax system. As mentioned, our system is overly complex, burdensome to administer and unfair to taxpayers. Harvey Fennell, partner of Dickson Realty and Dickson Commercial Group, and I disagree on whether we should support this effort. He believes the proposal is a bandage that doesn’t go far enough. While I agree with that, it is the most politically feasible although imperfect proposal that we could possibly enact by 2020. If we start from scratch, it will be 2022 before we could have a change in our property tax valuation, and I don’t believe we can afford to wait so long. I believe this gets us to a better place that we can amend in the future. SRJ 14 attempts to partially fix the system by resetting the depreciation computation when a sale of a property occurs. Homeowners still get the benefit of the 1.5 percent annual depreciation adjustment each year, but for purposes of computing property taxes the home is considered “new” at the time of sale. In other words, the assessor no longer takes into consideration how old the home is at that point. However, the assessor still uses “replacement cost” for determining the value of the improvements. Built in 1965 would owe $951 in taxes. SJR is not perfect. What would be better? In our opinion, we should move to a fair market value method for valuing homes and eliminate the replacement cost method. This, over time, will simplify the valuation process saving time and money. This change could occur at the point of sale to avoid possible increases to current homeowners. Second, we should eliminate the depreciation provision of the property tax system. This feature is not only complicated to administer but it is the cause of the lack of fairness in our tax collections. For a period of time, the assessor’s office would have to maintain both valuation methods, but over time the bulk of the homes would be on the market value method with no depreciation. As in the examples above, older homes get a break and the owners of newer homes get penalized even though the values may be the same. Again, this change could be phased in over time at the point of sale. We believe property taxes should be based on market value with caps in place to make sure there are not huge increases year-over-year. SJR 14 requires a constitutional amendment, meaning it would have to pass the 2017 Legislature, the 2019 Legislature (with no action by the governor required), and then a vote of the people in 2020. If this bill doesn’t go forward, it would be 2022 before something could be put in place. Whether it is this bill or another, as Brian Bonnenfant of the University of Nevada, Reno Center for Small Business has suggested, the question we should be asking is “What do we want to pay for?” Some, like Harvey, believe we should start over and create a new blueprint. Whether we start over or not, it will not be easy to convince voters to embrace the thought of any changes to the tax system but if we want to have the best possible community in the future, we have to start the conversation now.